Throwing a no-hitter or four in high school baseball? Passe. 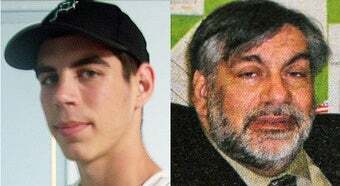 Doing it the day after burying your father, New York City's first victim of swine flu? Now we're talking. Jordan Wiener, the son of the late Mitchell Wiener, tossed a five-inning no-no and struck out 14 hitters in a 10-0 mercy-rule win just more than 24 hours after sobbing at his father's highly public funeral. "When my father was put in the hospital on (May 13), I told myself, 'Death or survival, I was going to pitch,' " Jordan said. "I knew that's what he would have wanted from me, to go out there and pitch. I was going to pitch no matter what." Wiener's performance has to rank up there with some of the best grieving gamers of all time: Brett Favre throwing for 399 yards and four touchdown the day after he lost his old man, Matt Bryant kicking a game-winning field goal after his infant son passed away, Anthony Brock beating Tennessee for his grandmother. Sappy, yes, but it never hurts to be awed every once in a while. Jordan's father was a Mets fan, which makes Omar Minaya's next move obvious: Let the kid throw out the first pitch at the next home game. You could use some no-hitter magic.